Below, listen to two songs by Terry “Harmonica” Bean from the Broke & Hungry Records compilation MISTAKES WERE MADE: FIVE YEARS OF RAW BLUES, DAMAGED LIVERS & QUESTIONABLE BUSINESS DECISIONS. It’s 30 song two-disc retrospective of the label’s first five years. Order the collection here. 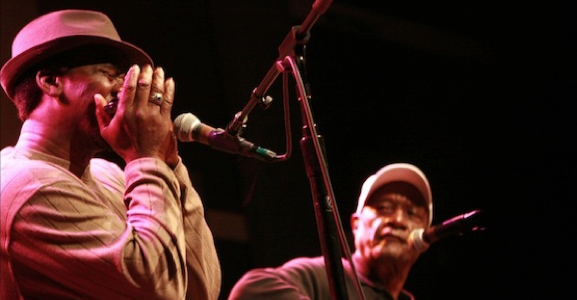 Jimmy “Duck” Holmes and Terry “Harmonica” Bean performed in a Mississippi Blues Project concert at World Cafe Live on October 22nd, 2012. You can listen to the concert here. Below, watch a few more videos from the concert. Listen to the Mississippi Blues Project radio stream here. Mississippi Blues Project: Terry “Harmonica” Bean performs “Kind Hearted Woman” in concert at World Cafe Live from WXPN FM on Vimeo. Mississippi Blues Project: Terry “Harmonica” Bean and Jimmy “Duck” Holmes perform “Build Myself A Cage” in concert from WXPN FM on Vimeo. Mississippi Blues Project: Terry “Harmonica” Bean performs “Black Cat Bone” in concert at World Cafe Live from WXPN FM on Vimeo. 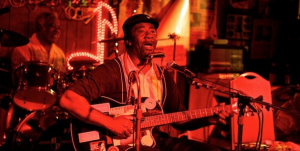 One of the Mississippi Blues Project’s featured artists, Terry “Harmonica” Bean has offered a free download of his cover of the Christmas classic, “Merry Christmas, Baby” that you can download for free from Broke And Hungry Records. 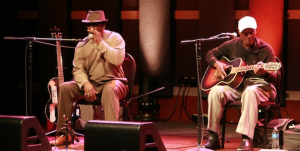 Terry “Harmonica” Bean and Jimmy “Duck” Homes performed in concert on Monday, October 22nd at World Cafe Live in the second in the series of the Mississippi Blues Project concerts. Look at our photos from the show shot by WXPN’s John Vettese and read Jonny Meister’s review of the show here. 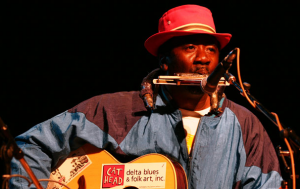 Listen to the set by Terry “Harmonica” Bean here.